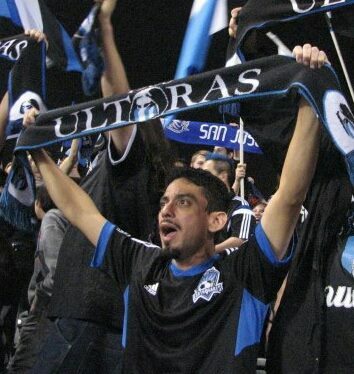 The San Jose Ultras is an American ultras crew that supports the San Jose Earthquakes. We've been supporting the Earthquakes at home and on the road since 2003. It's easy for our members to follow what's going on with our group and the San Jose Earthquakes. Check out our Facebook page and our blog for official group news and statements.